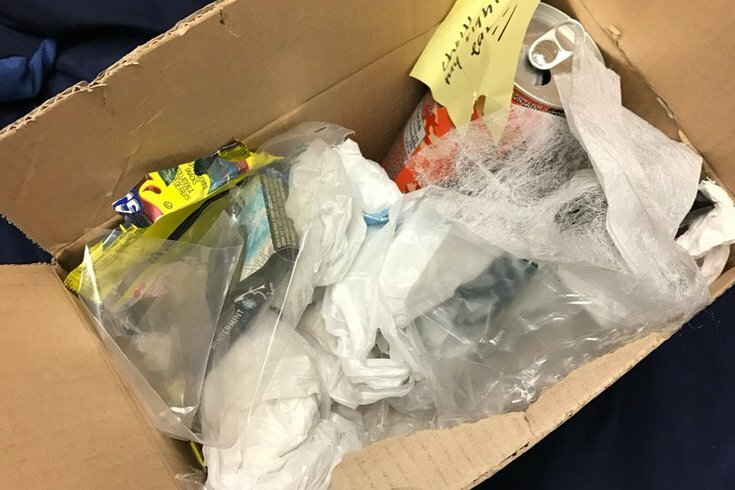 Connor Cox, an 18-year-old student at Westminster College, received this care package full of trash from his mom since he didn't throw it out when he was home. Moms whose adult children can't seem to clean up after themselves when they’re home from college: take note. Connor Cox, a student at Westminster College in Western Pennsylvania, received what he thought was a care package from his mom back in January. When he opened up the box, however, there were no snacks or personal care products. Instead, there was trash he was supposed to throw away. As his sister Mackenzie pointed out on Twitter, the garbage their mom sent was actually trash he had just left on the floor. “I have raised and taught Connor better than this, and his actions deserve consequences — even if they are humorous,” Terri told BuzzFeed News. Apparently, there was a verbal agreement made between Connor and his mom that when he was home, he was to carry out all of his normal duties and chores. “I guess I thought I could get away with it all and have her clean it up, but she showed me otherwise,” Connor said. It seems like a safe bet to say Connor will be tidier next time he's home on break.